This is a new shape and colour way for the "Pod" range. 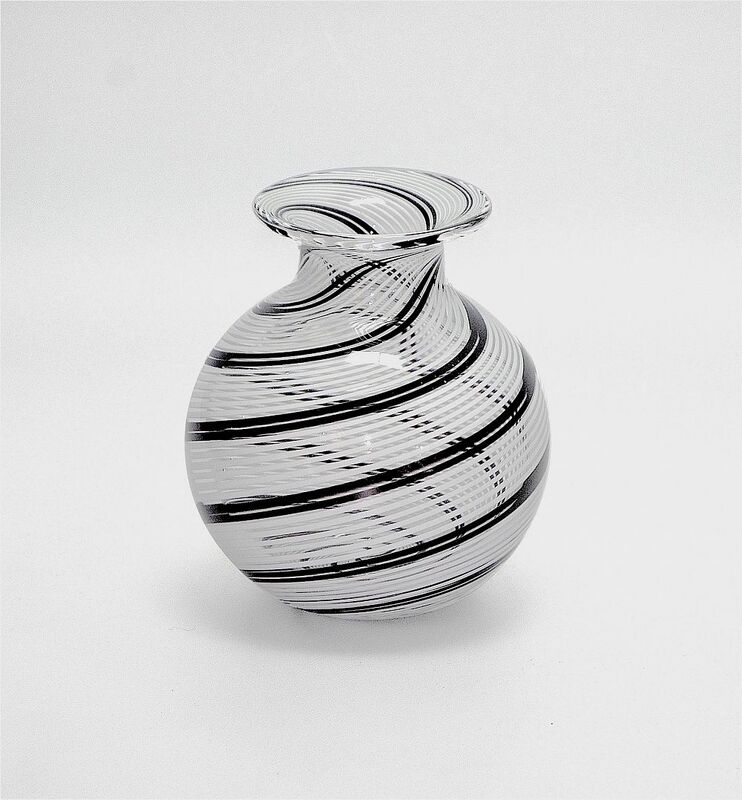 Made by Mike in 2017 the small globe vase is made of black and white canes that alternate 6 white, 2 black, 6 white, that swirl around the vase from the base to the top creating an optical illusion when viewed from the top and another when viewed from the front. The base is scratch signed "M Hunter Twists 17" and with the Twists Glass studio label. Elegant and deceptively simple!